Equal Pay Day — An Important Day for Women Lawyers. 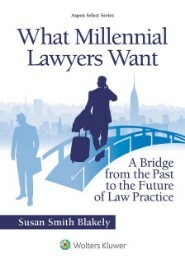 Susan Smith Blakely’s books are THE books for young women lawyers and all Millennial Lawyers. But her books are just the beginning. Susan is a dynamic public speaker on the issues challenging ALL young lawyers in practice today. 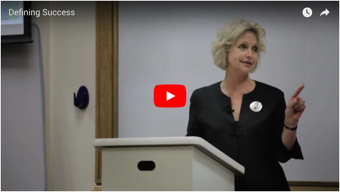 She speaks at law schools, law firms and law organizations throughout the country. She also consults to law firm managers and leaders on issues of retaining talent, and she provides individual and small group career counseling for young lawyers and law students. 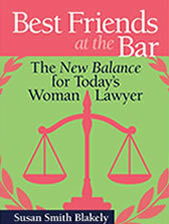 The Best Friends at the Bar project is one of a kind and is making a great contribution to the profession of law. Susan Blakely catches the zeitgeist in the legal profession; she has a knack for providing hard-headed advice and uplift, a tricky balance that she pulls off in style. 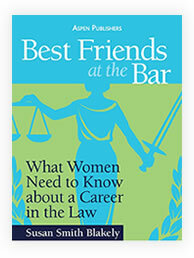 I have had many of my students sing her praises, and her books are valuable resources for them and for women lawyers at all stages of their careers for years to come. Susan is a rare breed in our industry -- she not only talks about the challenges facing women, but she takes action to solve them. Her tireless pursuit and desire to create gender parity in law firms is unmatched. 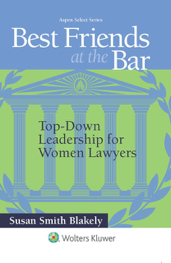 Her newest book, Top-Down Leadership for Women Lawyers, is a guide for both women lawyers and law firm leaders who share her passion -- personally and professionally -- for women's advancement in the legal industry.